The Roland RPB-D100BK Piano Bench is ideal for students and teachers. The RPB-D100BK features a wide bearing seat that comfortably fits two people. 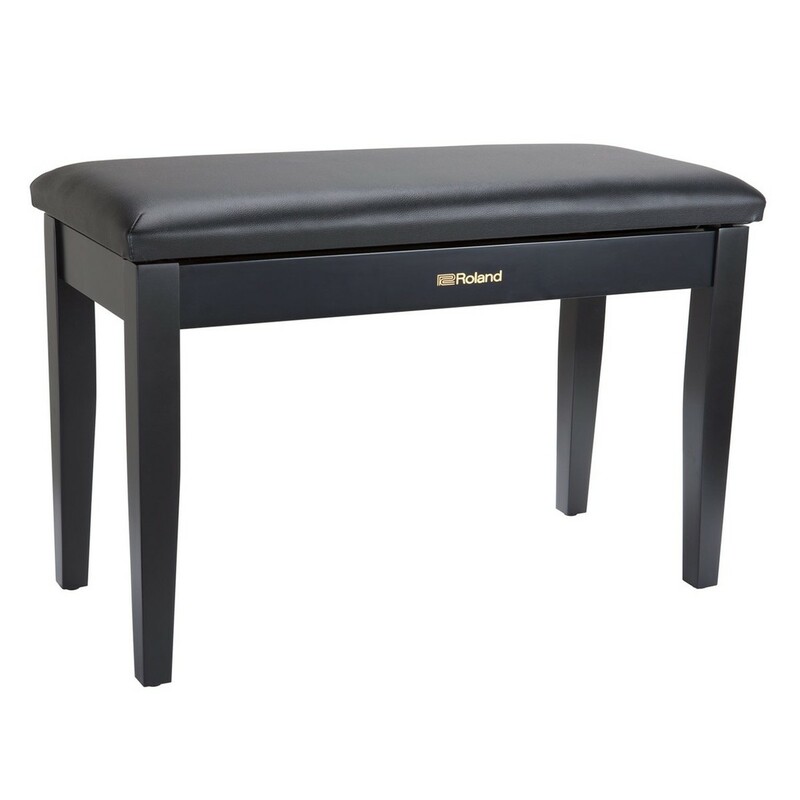 The durable solid wood frame has rubber feet that prevent the stool from slipping. The storage compartment is ideal for accessories and sheet music.